Below is an itinerary I am considering for a week touring around Touhoku with a 4-day flex pass. Hike Dewa. Haven't got my Lonely Planet handy. What else is there time to do in the morning, if anything? Hike Dewa. What else is there time to do in the evening, if anything? JR East . Train to Morioka. Walk around our sister city. Wanko soba lunch. Train to Shimokita. Osoresan. Is there time to do anything else that day? Hiking? JR East. Train to Hiraizumi. Genbikei. Rent bikes. Boat ride. Train back to Toukyou. <4hrs. JR East. On the way, the bus driver might stop at a local spring for everybody to get fresh water : have an empty bottle ready. I also wondered about renting a car but the rental company I came up with (Mazda) is located closer to the ferry terminal at Oohata. Do you know what sort of bus schedule there is to get there? 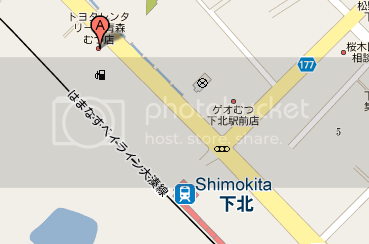 Or better yet, is it possible to pick up and drop off the car at/near Shimokita eki? No bother going to the ferry terminal : there is a Toyota Rental just near Shimokita station. HERE is the Toyota exact page - in Japanese though. HERE is a more general page in English with instructions. If you can speak Japanese, THIS small company might be interesting : they will bring your car for free at Shimokita Station and the rental fare is only 3 150 yen a day. From Shimokita you could consider taking a trip to Towada Lake. Lived, worked, and traveled in Japan for over a decade combined. 90401 Attacks blocked :: Protected by phpBB Security © phpBB-Amod :: phpBB Security © Has Blocked 2,045 Exploit Attempts.